Social video generates 1200% more shares than text and images combined (AdelieStudios). From the technical side, videos have never been easier to make. Every modern phone has a built-in camera, able to record a video of decent quality. Investing in a more professional equipment and exploring video editing tools is a smart way to perfect your approach and make your videos even better, and professional-looking. Companies are facing more and more challenges when it comes to engaging online users, and videos are slowly taking over as a format that is easy-to-digest. This means that it is more likely to reach the users through video than through other types of content. It’s essential to discover new ways to present content in this format. Due to its nature, a video leaves a lot of room for improvisation and creativity. It’s more interactive than written content and more dynamic than photos. It can share the sentiment, it can incorporate music, and finally, it can convey a message. Interested in learning why more and more companies are exploring the usage of video each year? The benefits the businesses gain have continuously been highlighted, and they seem to grow each year. Some are even going as far to “name video as the type of content with the best ROI” (Source). The most common reason for using video, and content in general, is to increase the promotion of your brand. It’s helpful to know that “53% of smartphone users feel more favorable towards companies whose mobile sites or apps provide instructional video content” (Source). Videos bring your brand closer to the users. Users are more likely to identify and relate to the story of the video. A lot of them prefer the visual presentation of information, rather than reading that content. Also, they are more likely to recognize the brand once they have seen it in a video. As one of the most shareable content, videos have the power to boost engagement, especially on social networks. To maximize this benefit, you need to employ storytelling, a powerful technique that helps you shape the narrative of the video to appeal to the users’ sentiment. It’s interesting to know that shorter videos generate more engagement than longer ones. In fact, most videos published by brands are less than 2 minutes long. For a more in-depth view of what storytelling is and how you can benefit from it, take a look at this amazing guide: How to Leverage Storytelling to Increase Your Conversions. Increasing engagement on social media will directly influence your overall social media performance. Being able to engage more users means that your social accounts will gain more popularity and more attention from the social media users. This can lead to an increase in social media followers, more traffic to your blog or link clicks, as well as on sales. Video content gains more visibility and thus enables you to increase the reach of your posts. In the time when more and more brands are struggling to get their posts visible, especially on Facebook, where even your page followers are not likely to see your post, an increase in visibility is really helpful for boosting your social media performance. Video is an excellent content format to help you create a bond between you and your followers. It enables to show a more personalized side of the story. It helps you show context and answer the questions before they are even asked. Building a relationship with the customers is a necessary step in ensuring that you are the ascendant in your niche. Don’t let your competitors take you off guard. The battle for the customers is always on. Even if you already have customers of your own, you still have to fight to keep them. Tactics for gaining new customers are getting more diverse and sneakier each year. One way to get customers is through video. Regardless if you create a flashy promo video or a helpful tutorial, having video as a format to deliver to your potential customers is a proven strategy to convert them. Have in mind this interesting conclusion from one research: “Shoppers who view video are 1.81X more likely to purchase than non-viewers” (Source). Customers are becoming true detectives nowadays. They do extensive research before buying a product, especially if it’s a pricey product. They want reviews, and they look for images. Also, they really appreciate illustrative videos. Having a video about the product gives them a glimpse into how the product can be used and how they can benefit from it. This is something that will have a significant influence on the buying decision. 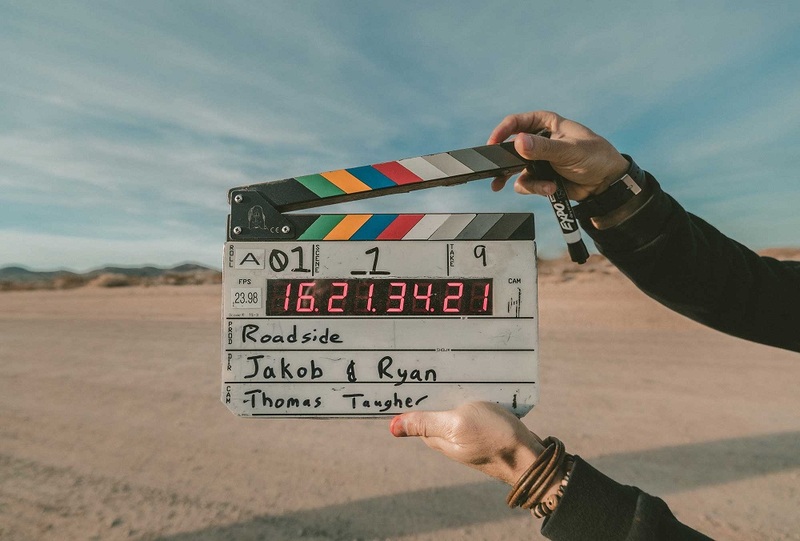 If you’re convinced that using video is something your brand will benefit from, it’s time to get a few ideas how to start using video in business immediately. Online users love instructional materials. And if that material is in an easy-to-digest format such as video, they are even more prone to love it. Instructional videos are very popular online. From how to make perfect vanilla cupcakes to how to use photoshop, people look for all kinds of how-to stuff online. You should also have in mind that YouTube, a video-sharing platform, is the second largest search engine. This guarantees a massive potential for your videos to be found organically. What the customers see when they look up your website is content that presents your business. It’s skillfully crafted content to present your company in the best light. What they usually don’t see is the person behind this content. Even the about us page usually presents information in a more static way. Try using video to bring a new dimension into the information you share about your company. Reveal a person behind the email address that reaches out to your customers every week with your newsletter. Show them that you are the person they can talk to, somebody they can trust. All of this helps you increase the credibility of your brand and get closer to the customers. Vlogging, a video format of blogging, has increasingly gained viewers who turn to websites such as YouTube for their daily dose of entertainment, rather than watching TV. It’s a more casual type of recording videos, usually featuring a day-in-the-life type of video or follow-me-around video. For a business, these videos are another type of videos that can bring a more personal touch to your relationship with the customers. An alternative approach that companies can use is to collaborate with famous vloggers. So instead of vlogging yourself you become featured in the vlogger’s video. This way of using video is easier for brands as they do not have to create content on their own, so they leave the creative part to the professional. It’s also an amazing opportunity to reach the audience of the vlogger you are collaborating with and expand your reach. All out of video ideas? No worries, just take a look at your content library. You will definitely find an article, a guide or an infographic you can turn into a video. For example, you can share the most important bullets from the article in a couple of slides shaped in the form of a video. Or if you have a helpful article with a DIY project, simply do this project in front of the camera and record it. Repurposing content works two-ways. So for each video, you can also have an article published on your blog. This is great for SEO. Written content is still what search engines understand best. Also, you provide an alternative to target more users. Video format is excellent for showing off your products, their features and what they can do. There are numerous ways you can incorporate products into videos without being too promotional and intrusive. Share an engaging story, or create an entertaining video with your product discreetly visible throughout the video. You can even ask a popular influencer to create a video featuring your products. The whole idea with this approach is to bring your product closer to the potential consumers. Put your product into the spotlight to spark interest. You want to highlight its features and show how the viewers can benefit from those. A live session is a great way to create video content in a simple way. Unlike pre-recorded videos, a live session is a more spontaneous type of content format. However, it works pretty well with broadcasting events, such as a product launch. Using the live streaming feature of social networks such as Facebook or Snapchat can help you increase the visibility of live videos. Your followers on social networks usually get notifications about live sessions. This helps you engage your audience without reaching out through emails or other messaging services. When you hear the term video editing, it’ll probably be timid at first. It sounds too complicated, but apps used for this purpose are getting more and more user-friendly. No longer do you have to be a pro to start editing like one. You will need the raw multimedia materials you want to use to create a video and software to edit it. There are even apps for your phone to do simple editing stuff. Once you have everything ready, you can start cutting videos, syncing them, adding music, effects, text, etc. A few of the most popular video editing solutions for you are featured in this article, and if you’re looking for an app instead, here are a couple of recommendations: The 10 Best Video Editing Apps for Mobile. Creating a video is the first project step. Promotion is the second part you will need to focus on, to make sure your business sees benefits from produced video materials. Social networks have shown great potential for video consumption, which is why sharing on social networks is the first thing you should do once the video is live. Take advantage of your social media presence. Share the video on all of them to maximize the number of users you reach. The next resource to tap for online promotion is your mailing list. Videos are now becoming integrated into emails as well, giving you instant access to the audience which has already shown interest in your brand. Video distribution is an essential step for everyone using video in business. Higher reach increases benefits obtained from the video, which is why you should use all of the distribution channels available to you, including both free and paid methods. The next step is to implement video in online marketing. Experiment with harnessing the power of videos in your digital marketing strategy and optimize them to serve your business goals. Regardless if those goals are brand exposure or sales increase, a video should be an addition to your digital marketing strategy that will ultimately help you increase its profitability and effectiveness. 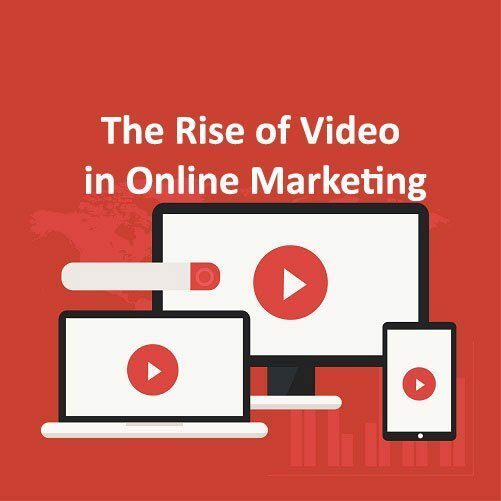 Use the video to reach new customers, convey compelling messages through various channels and most importantly, to stay competitive and keep up with the latest web marketing trends.